Once you start collecting data, you gain new insights into your operations. 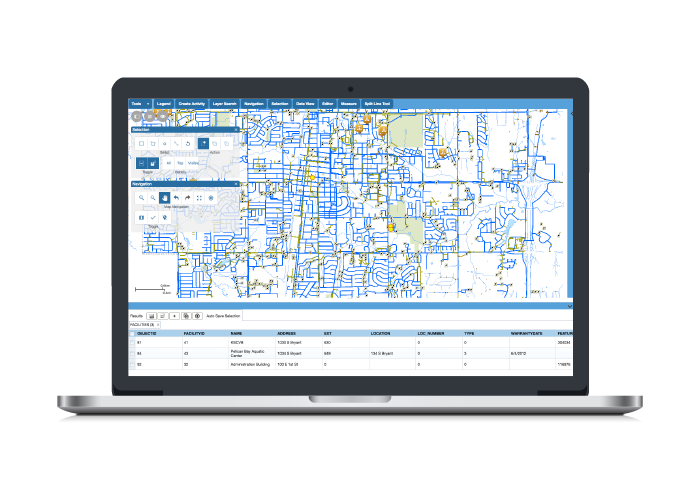 Cityworks offers powerful analytics tools to help you plan and schedule work, create and refine budgets, and identify and assess high-risk assets. Use GIS data to track the likelihood of asset failure across your entire system. Understand the full impact of any given asset failure and prioritize accordingly. Identify and implement effective efforts to reduce the impact of an asset failure. Determine the level of risk for an asset type based on probability of failure, consequence of failure, and risk mitigation. 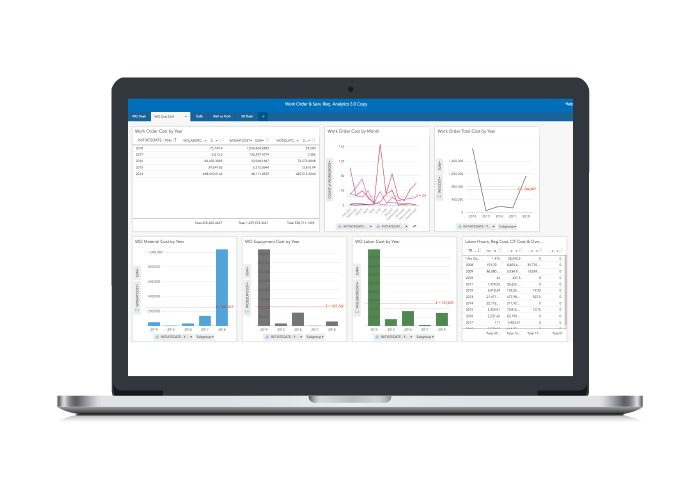 Analytics lets you easily create detailed reports using the information in your database. These powerful reports help you spatially analyze your organization’s performance. 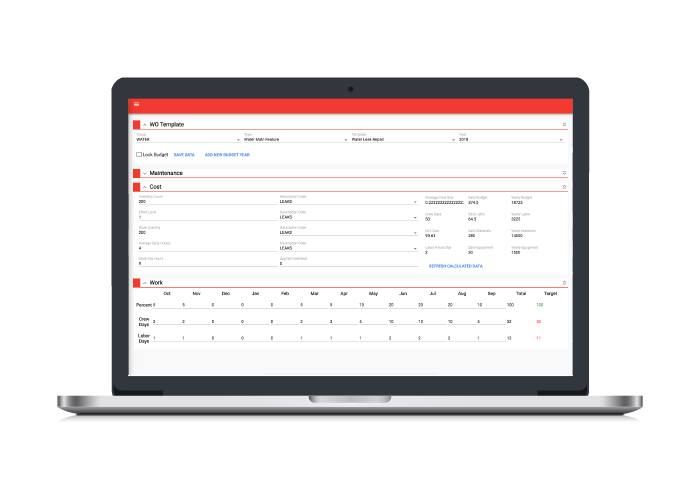 Leverage your work order activity to generate daily and yearly budgets. 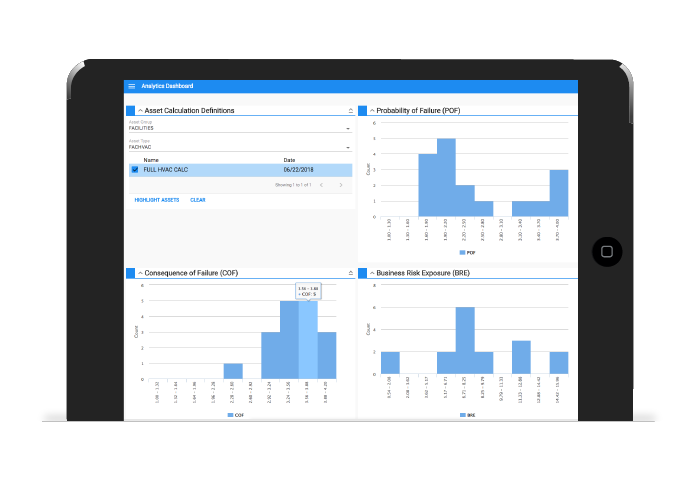 Performance Budgeting helps you accurately predict future budgets and determine cost projection, productivity, optimal crew size, and more. 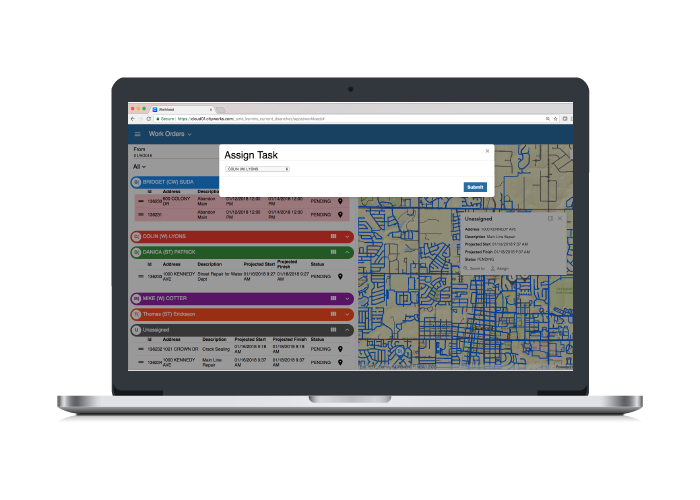 The Workload app lets you easily assign or reassign work activities, from inspections and work orders to permitting tasks. Map and template views let you track and manage both assigned work and unassigned work. Cityworks provides a framework to help you define and track key performance indicators (KPIs) for your asset management strategy. These KPIs are calculated using GIS attribute information, maintenance data, management strategies defined by the user. Operational Insights integrates with Insights for ArcGIS®, allowing you to create powerful heat maps and graphics that demonstrate the results of the risk analysis. Now, you can more easily communicate risk and more accurately prioritize capital improvement funding.